Teton Russet (A0008-1TE), is a cross between Blazer Russet and Classic Russet. 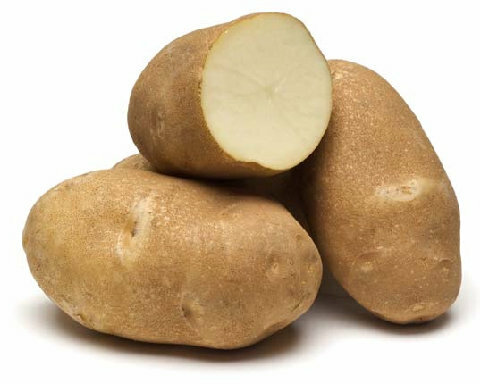 The tubers are oblong with moderate russet, good skin and shallow eyes. Teton Russet has a specific gravity of 1.082, is resistant to dry rot but is soft rot and shatter bruise susceptible. In the Idaho trial there was an incidence of hollow heart and this needs to be managed for. 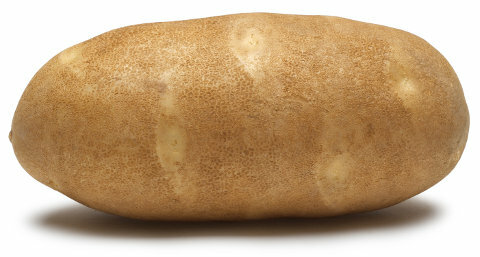 It was noted both for fresh market and processing in the 2009 Potato Cultivar Evaluations compiled by the WSU Potato Research Group. Teton Russet yields at 100-110 days after planting are similar or slightly higher than standard Russet Norkotah, but note that the tubers are generally 1-2 oz heavier on average if planted at the same in-row spacing as Russet Norkotah. Teton Russet should be handled as gently as possible to minimize bruising and skinning.